Recycling Jackson would like to give a shout out to Spring Arbor Township for allowing us to be a part of their annual clean-up day Saturday, April 15th with an eWaste drive. It was a well organized event and many Spring Arbor residents took advantage of it. Posted by Anne Noble on April 23rd, 2017. Filed in community, e-waste	| Comments Off on Thanks, Spring Arbor! 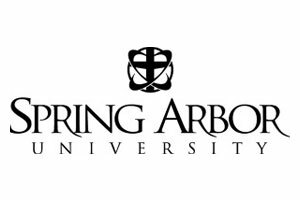 Many thanks to the students of Spring Arbor University Business Club who generously donated their time May 10 to help Recycling Jackson with it’s eWaste Collection Day. The hardworking students were a big help and a big contributor to the success of this yearly event. We would also like to give a shout out to Spring Arbor Township for allowing us to be a part of their annual clean-up day with this eWaste drive. It was a well organized event and many Spring Arbor residents took advantage of it. Posted by admin on May 11th, 2014. Filed in community, e-waste, recycle	| Comments Off on ﻿Spring Arbor Rocks! Get ready: it’s our first big e-waste drive with Sam’s Club of the year. It’s taking place Saturday, May 7 from 9 a.m. to 1 p.m. at Sam’s Club in Jackson. And as a special extra, CP Federal Credit Union is offering a shredding truck to shred your personal and confidential documents. Download our flyer for all the details! Posted by admin on April 20th, 2011. Posted by admin on March 21st, 2011.